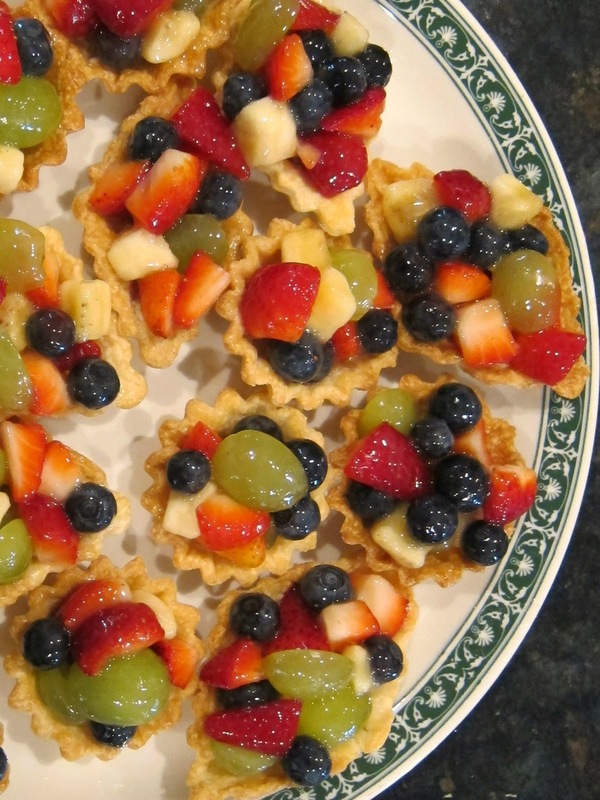 I made these Fruit Tarts for our Easter dinner dessert. They are so easy and delicious. You can use any combination of fruit that is in season and of course you can just make one big pie instead of tarts which is way easier! Prepare the pie crust as directed on the package for an empty shell. You can either use tart shells or one pie pan. I got 20 tarts out of the crust. Set aside to cool. Mix together the sugar, cornstarch and salt. Add the orange juice and water. Stirring constantly bring the mixture to a boil and cook until it is thick. Set aside to cool. Once the glaze is cool mix it into the diced fruit. Fill the baked pie crust or tart shells with the fruit. Cover and refrigerate several hours to firm up. Eat these within a day for best flavor.